Chinese face reading is a fascinating practice that you can apply today to discover health issues. It’s quite simple to read your face for clues about your health. Find out how it’s done! Have you ever heard about face reading? Chinese healers have done face readings for thousands of years to diagnose diseases. Due to its accuracy as well as simplicity, it is still a common practice in the modern Chinese medicine. Face reading is not complicated at all. In fact, it is something that you can easily do for yourself to detect ailments to reveal clues about your health. So what is Chinese facial reading all about? The Chinese art of face reading is an ancient way of detecting ailments. Face reading in Chinese Medicine is called – or Siang Mien (Siang=reading) (Mien=face). According to the Chinese facial diagnosis, the body is like a hologram and the location of a wrinkle, scar, spot, blemish etc. corresponds to an energy meridian that in turn connects to an internal organ. The Chinese healers have also discovered that the facial skin is giving signs of internal changes much faster than any other part of the body, due to the skin’s sensitivity! A health condition of the internal organs is very often reflected externally on the skin of the body (including the face). This means that the wrinkles and spots on your face do not appear at random. Let us give you two examples. If you suffer from dark circles or puffiness around the eyes, then it can be a sign of problem with your kidney and/or liver energy. You see, the area around your eyes is connected with your kidney and liver meridians, according to Chinese medicine face reading. To get to the root cause with this problem, it can therefore be a good idea to check with a traditional Chinese medicine (TCM) doctor for a balancing treatment to improve your energy of the meridians/organs. Relaxing more and go to bed early, are other important ways to nurture your energy. Another example on how Chinese face reading can give you clues about your health, is by studying your forehead. The forehead can reveal signs of many ailments within your body. According to Chinese face diagnosis, the forehead reflects in particular the nervous system and the small intestines. So, if your forehead is clear and free from lines/spots/skin rash/color change etc., then that is an indication of a good physical and mental health. If your body on the other hand is under a lot of stress, then it is very likely that your nervous system and your small intestines will suffer, and your forehead will thus show skin problems on that area. However, stress can affect other organs in your body as well and with a Chinese face reading you will get clues on the best treatment program for you. Isn’t that great!? If you are eager to do a Chinese face reading health analysis for yourself, then the easiest way to get started is to use a Chinese face reading chart, see below. If you want to understand the root cause for your facial skin problem, then do a simple face reading. Chinese medicine healers often apply this technique to find clues about health issues. 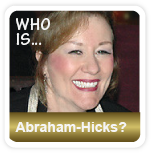 Now it’s your turn to learn about face reading for health diagnosis. The face diagnosis chart below will give you a quick overview on what’s going on inside your body. Have you ever wondered why you always seem to get spots on the same are of your face? Well, there’s a reason for that. Let’s find out the root cause for your skin outbreaks with a simple face reading. Chinese medicine healers often apply this technique to find clues about health issues. 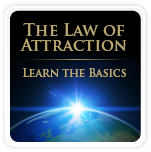 It’s easy to learn, and you can start today! If you have any spots or blemish on your face, then a Chinese acne face reading can be of assistance since it can help you finding the root cause of the problem with your pimples. 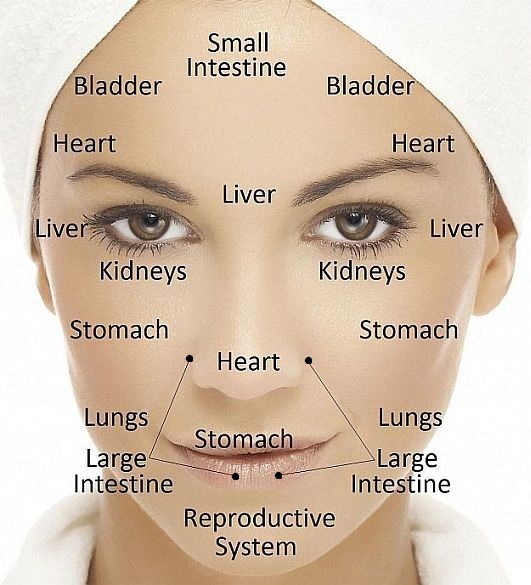 Chinese face reading will lead you to the organs responsible for the breakouts. Use the Chinese facial reading chart above to see which organ/s that may need detoxing or balancing of the energies of the meridians. Below are some suggestions that may be of assistance in helping your face to heal from spots, acne, blemish, color changes etc. Always check with your doctor before undergoing any treatment. Back Intestines For occasional constipation: Barley, Cascara Sagrada, Fenugreek, Flaxseed, Psyllium. For diarrhea: Geranium Oil, Glutamine, Golden Seal, Oak Bark, Oregon Grape Root, Probiotics.